Hulk Hogan made his big return to RAW a couple of weeks ago to pay tribute to his friend “Mean” Gene Okerlund. He hadn’t been seen in a stateside WWE ring since he was suspended from the company years ago. It seems like WWE and Hulk Hogan are getting closer, however they might not be able to make the Royal Rumble work out. 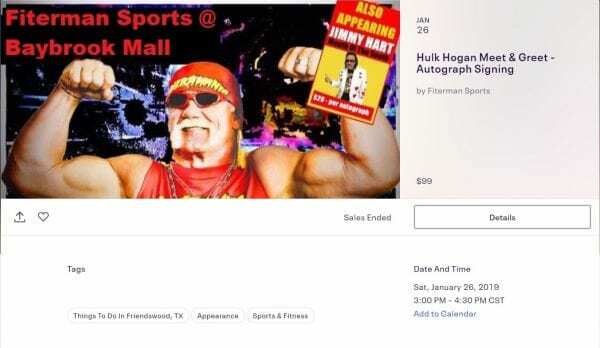 Hulk Hogan is scheduled for a meet and greet in Texas today. This means that if he is going to make it to Phoenix by tomorrow then he would need to get moving ASAP. Although you can never rule out a big Royal Rumble surprise, The Hulkster seems even less likely now. Wrestle Votes did say that WWE is still working on arranging a huge Royal Rumble surprise, but he didn’t say who it was. 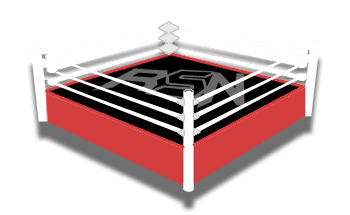 Although Hulk Hogan’s return to WWE to compete at 65-years-old would be surprising and generate an organic reaction, it might not be what WWE is going for in their New Era.